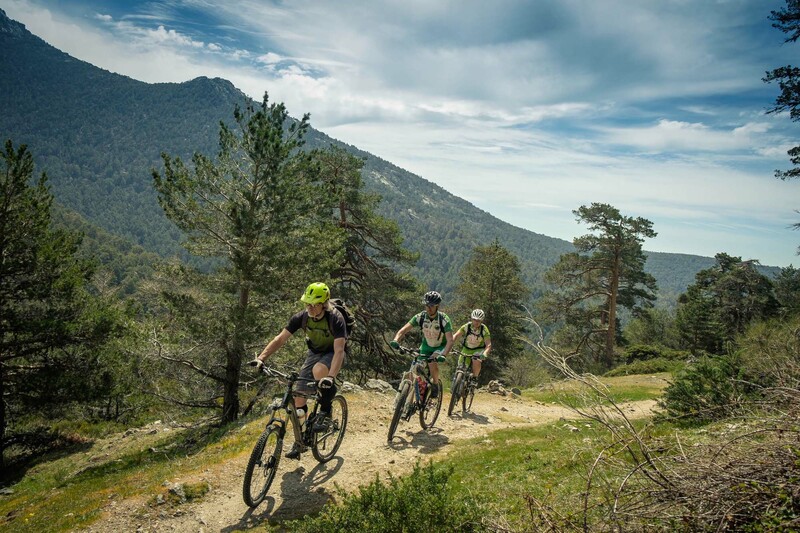 Explore Spain’s Sierra de Guadarrama mountains on a guided weekend of mountain biking. 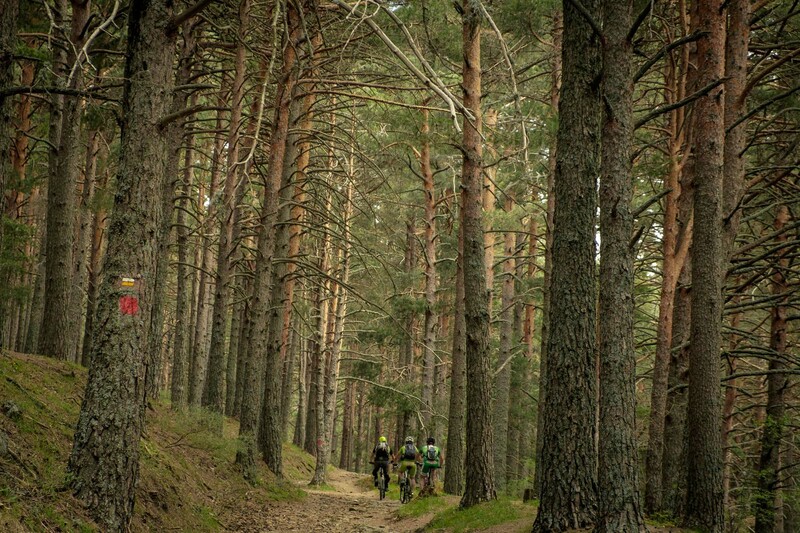 You’ll ride endless singletrack through forests, along scenic ridgelines, and stop in at the beautiful historic cities of Segovia and El Escorial on the way. 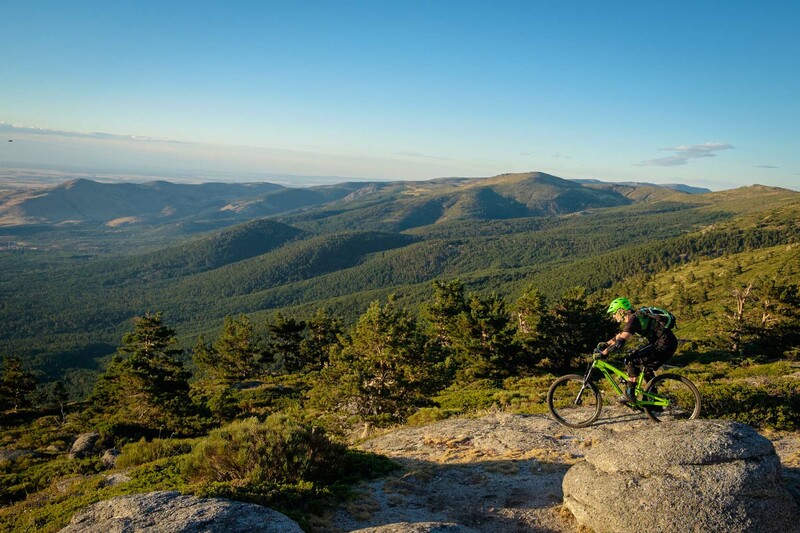 The beautiful Sierra de Guadarrama mountains in Central Spain were recently designated a National Park. The area is one of Spain’s most important biological preserves, providing a home for deer, boar, wildcats, eagles and vultures. The mountains are beautiful, with granitic peaks rising 1000m above the surrounding plains. 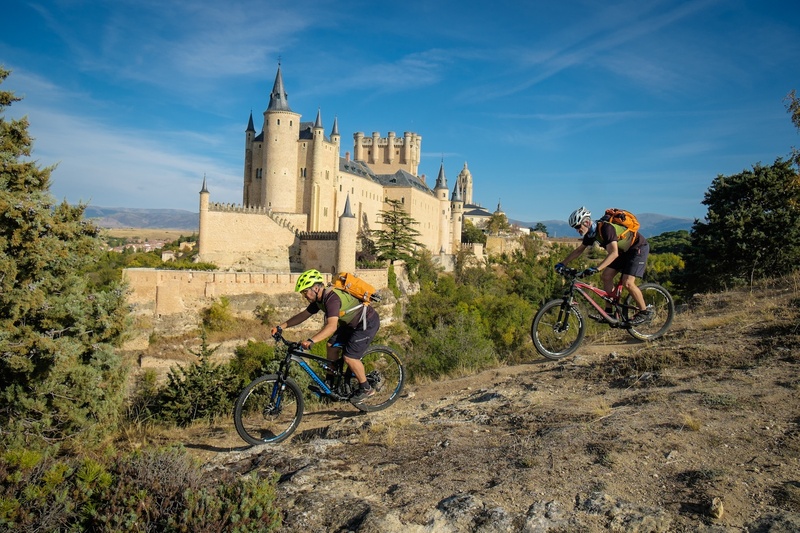 The nearby city of Segovia is one of Central Spain’s top destinations. Sights in the city include the stunning 11th Century royal palace, a 1st Century Roman aqueduct, and a beautiful city square with excellent views of the aqueduct and other historic edifices. El Escorial is a famous monastery from the 16th Century. From the mountains you can look down on the monastery and see within its massive walls. Your host will meet you at the airport in Madrid and drive you to the rural town of Cercedilla. There you’ll check into your accommodation and enjoy a traditional Spanish “picoteo” light dinner. Your guides will brief you on the weekend plan before bed. After breakfast you’ll start pedaling straight from your guesthouse and into the hills. 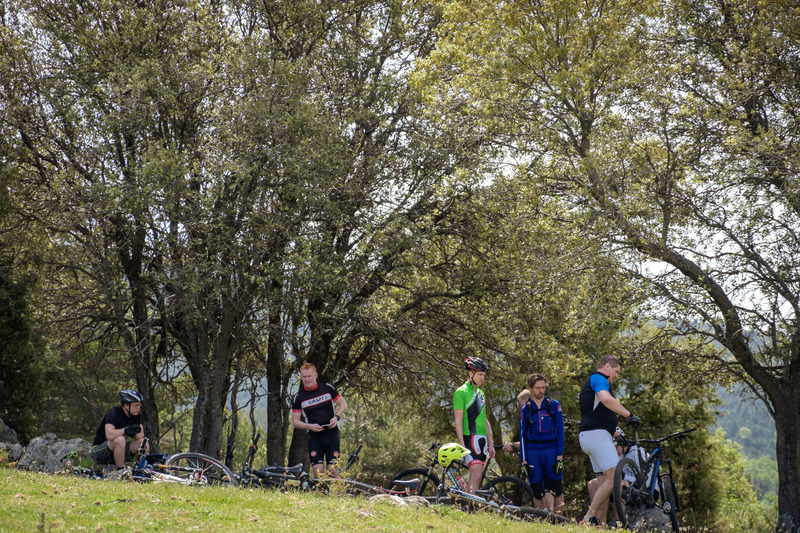 Climb a gravel road through some of the Sierra de Guadarrama’s best-preserved forests to Fuenfria Pass (1793m). 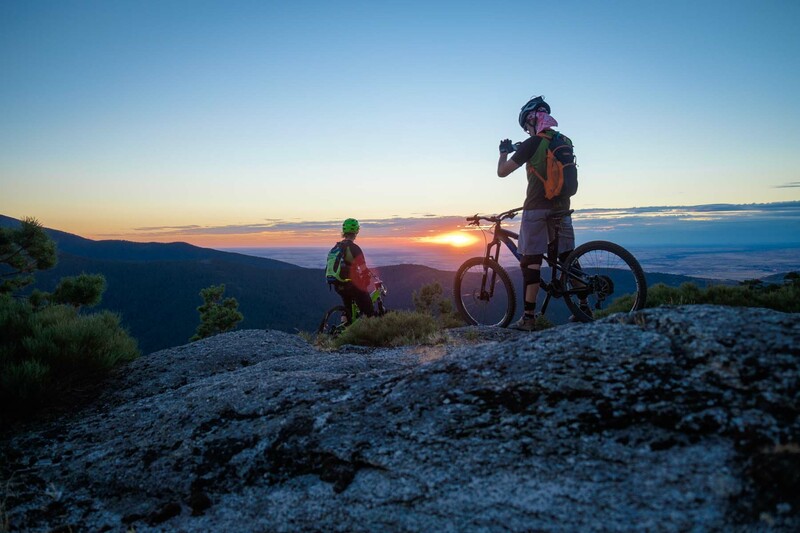 Take in the views, then cut loose on a network of singletrack that feels truly remote and wild. 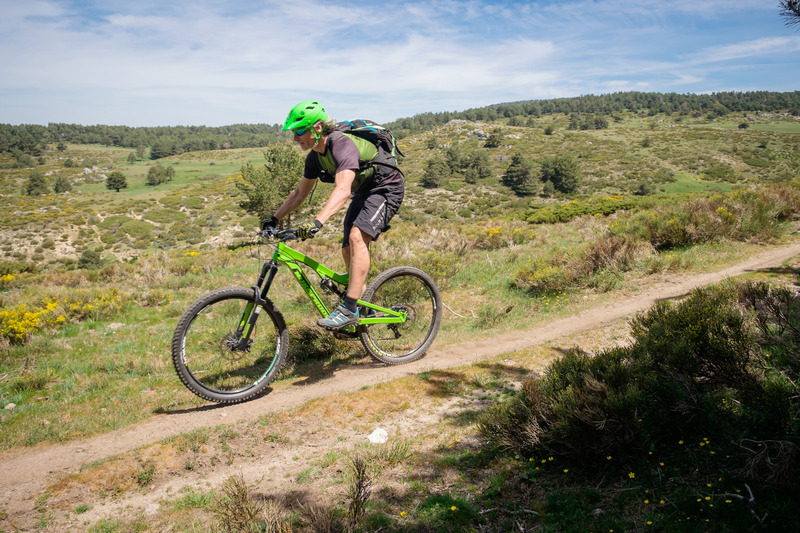 You’ll arrive in Segovia in time for a bocadillo or tapas lunch, then explore the picturesque town by bike in the afternoon. Ride back to Cercedilla by train. Fuel up with breakfast, then drive to the start of the day’s ride. 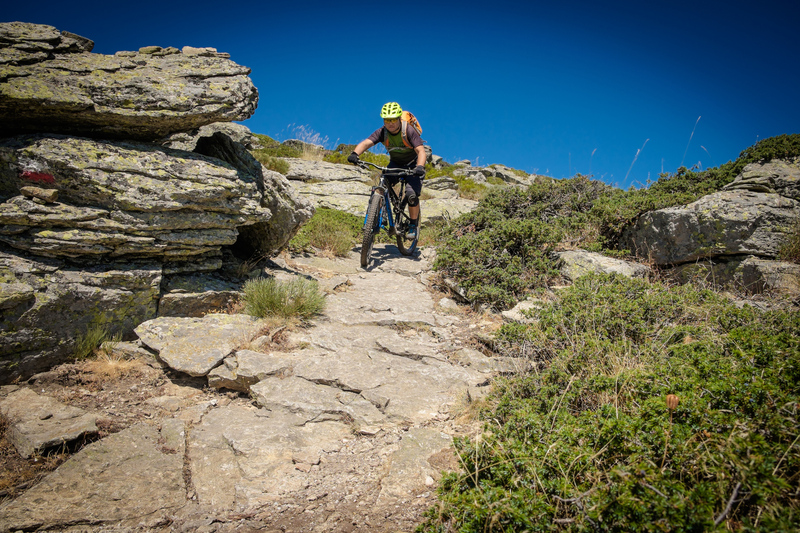 You’ll ride the singletrack around El Escorial, enjoying challenging trails, beautiful vistas, and an aerial view of the famous 16th Century monastery along the way. 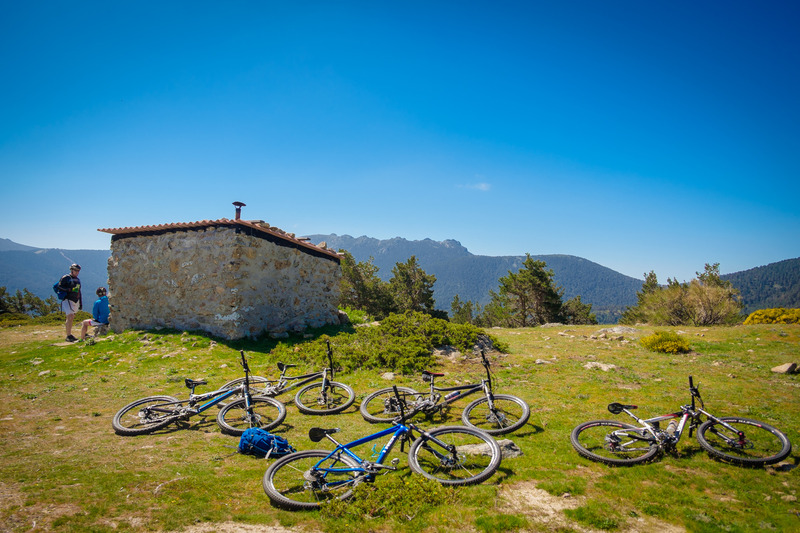 Return to Cercedilla in the afternoon for cold beers and a light lunch, then take your transfer back to the airport in the afternoon. You will stay at a rural guesthouse in Cercedilla. The guesthouse features simple rooms, shared bathroom facilities, hot showers, a restaurant, a garden, and wifi. 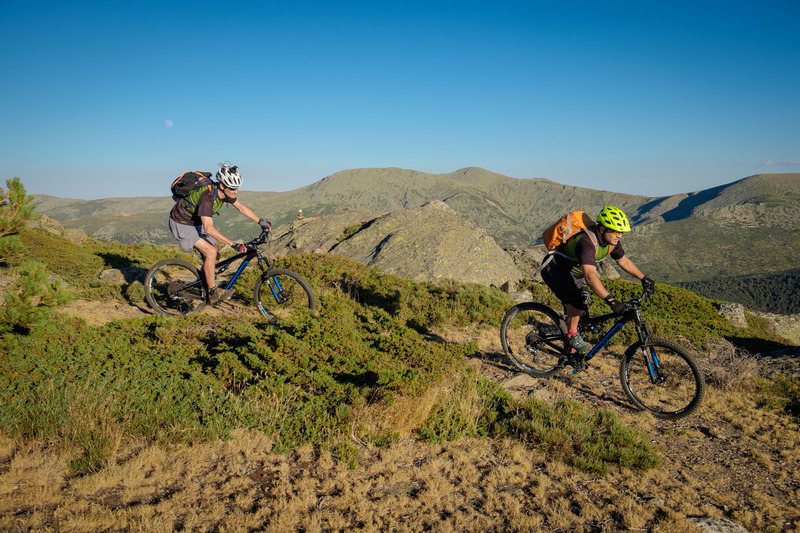 This trip is perfect for experienced mountain bikers seeking an adventurous weekend getaway in the wilds of Central Spain. 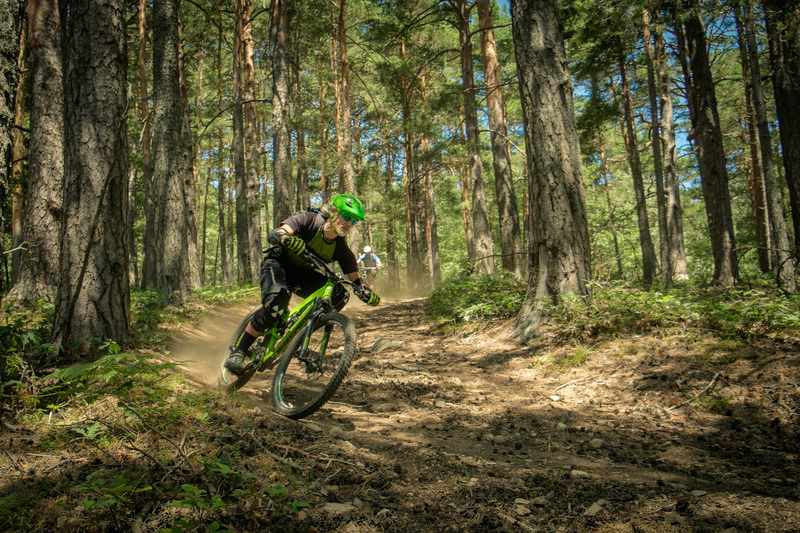 The riding is suitable for mountain bike riders with a moderate to advanced skill level and moderate fitness level. You will be picked up at Madrid-Barajas airport. Your transfer will meet all flights scheduled to land by 19:30 or earlier. Your host will be in touch before the trip to finalize details. You will be dropped off at Madrid-Barajas airport. You are free to book any flight after 20:00. Your host will be in touch before the trip to finalize details. Madrid-Barajas is served by frequent, inexpensive flights, including well-timed direct flights from any European Capital. You can get any flights that suit you, but make sure they fit the times above to take advantage of the included transfers. We will contact you before you leave to check your arrival and departure plans. Sure can come alone! A lot of people do, it’s a great way to meet like-minded people. 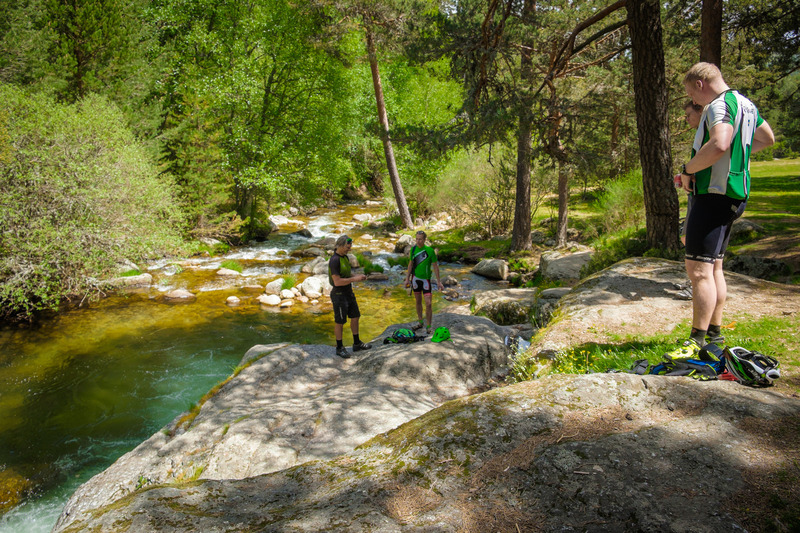 The Sierra de Guadarrama region serves typical Spanish food. Meals center around pork products, but seafood dishes and vegetarian dishes are also available. The welcome dinner consists of assorted Spanish cheeses, chorizo, ham and pork. Can my dietary needs be accommodated? Absolutely! Just let us know at booking. 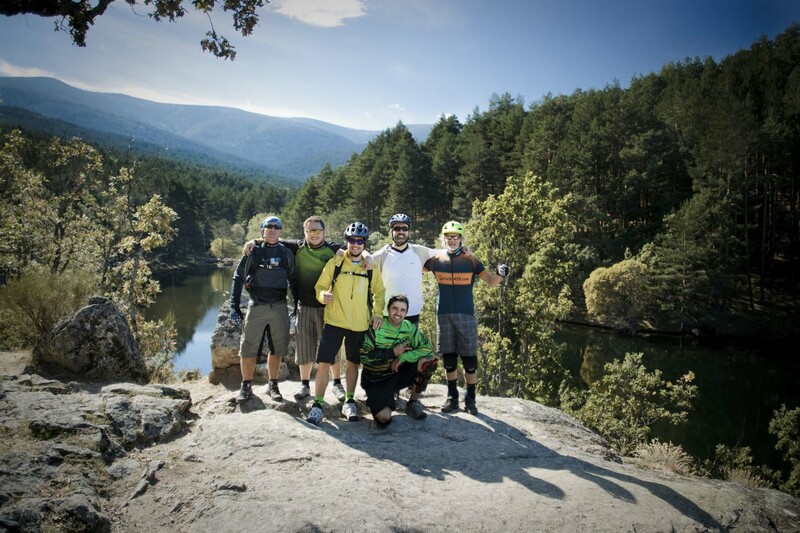 In spring and fall the weather is very pleasant in the Sierra de Guadarrama. Temperatures range from 10 to 20 °C, and it rains an average of 8 days each month. In the summer conditions are warmer and drier. Temperatures range from 15 to 30 °C, and it only rains an average of 4 days each month. Up in the mountains, temperatures are around 20 °C. ¿COMING TO MADRID FOR WORK OR HOLIDAYS? GET AWAY ONE DAY TO THE MOUNTAINS. MEET US AT VILLALBA TRAIN STATION. 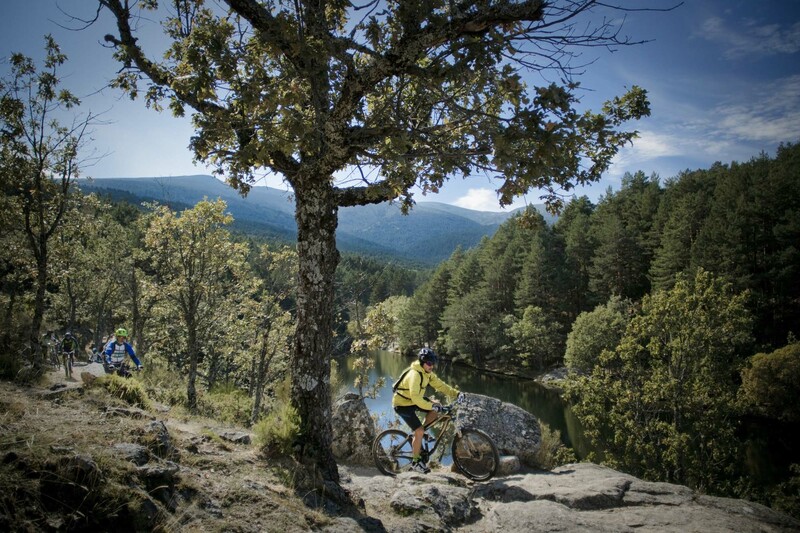 ONE HOUR FROM DOWNTOWN MADRID FOR LESS THAN 7€ ROUNDTRIP AND WE’LL TAKE YOU TO RIDE. 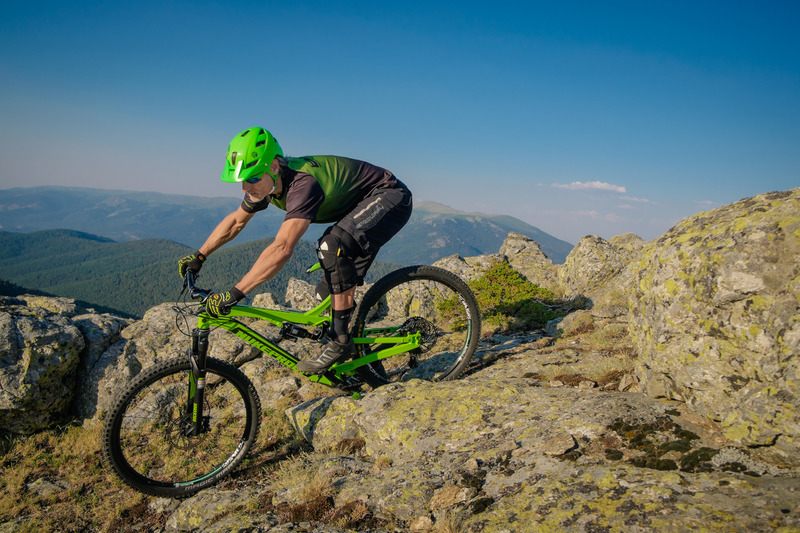 WE CAN PROVIDE YOU GEAR AND IF YOU NEED A BIKE WE CAN RENT YOU A NICE ONE. TOUR CAN BE ADAPTED TO ALL LEVELS AND FUN IS GUARANTEED. 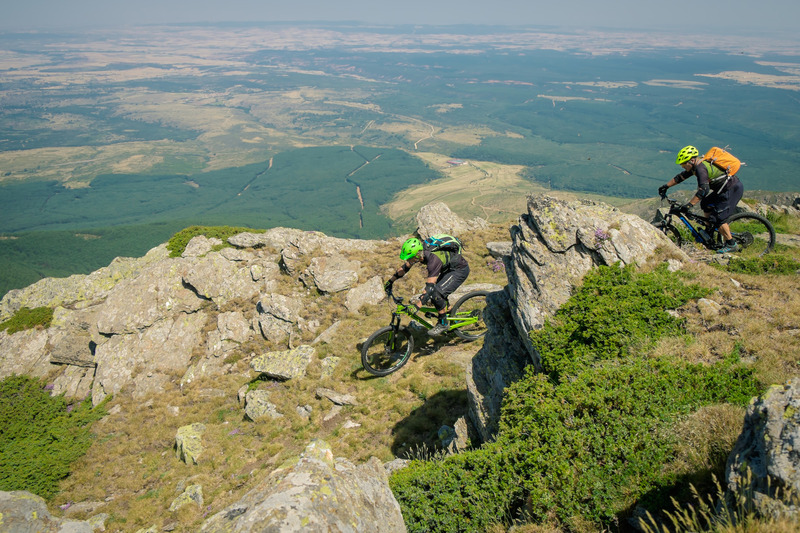 ARE YOU READY TO RIDE A WHOLE WEEK? 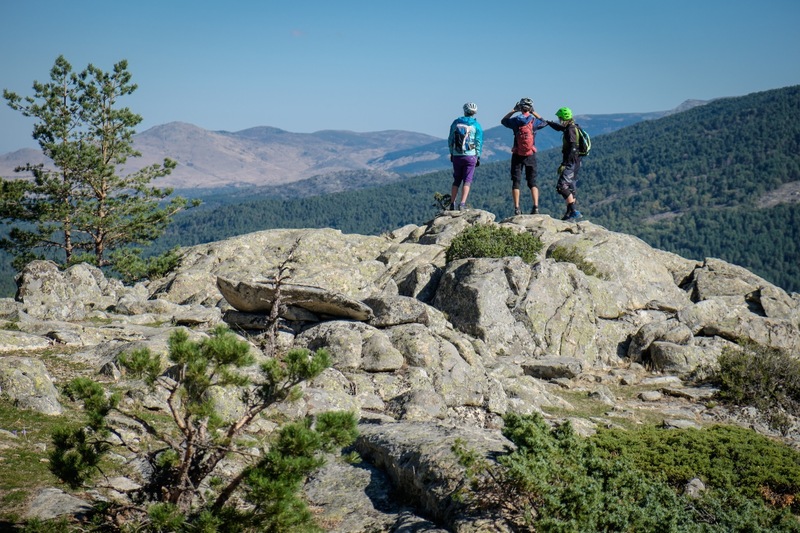 WE HAVE BEEN TWO YEARS WITHOUT REPEATING A TRAIL IN SIERRA DE GUADARRAMA AND CAN TAKE YOU TO THE MOST REMOTE PLACES WITH THE MOST INCREDIBLE TRAILS, FOR MOMENTS YOU’LL FEEL LIKE DREAMING. WE’LL STAY 5 DAYS IN THE RURAL HOUSE WE HAVE ARRANGED WITH BIKING BREAKFAST INCLUDED AND GO RIDING! WITH ALL TRANSFERS INCLUDED. ASK FOR DATES!